Sleep: This month sleep has become more consistant. Most nights, James Robert goes down around 9pm and sleeps until 2 or 3. One night he slept through until 6am and we're hoping he gets the hang of that! Social: James Robert loved meeting his Aunt Kristen, Uncle Ben and cousin Kate this month. He also loved that Nana and Grandpa Leanderson came back to visit for Mat's birthday. Because he was sick we didn't have many outings or play dates, but he played with Gram and Grandpa Gerber almost everyday when they were in town! Diet: Still eating like a champ. 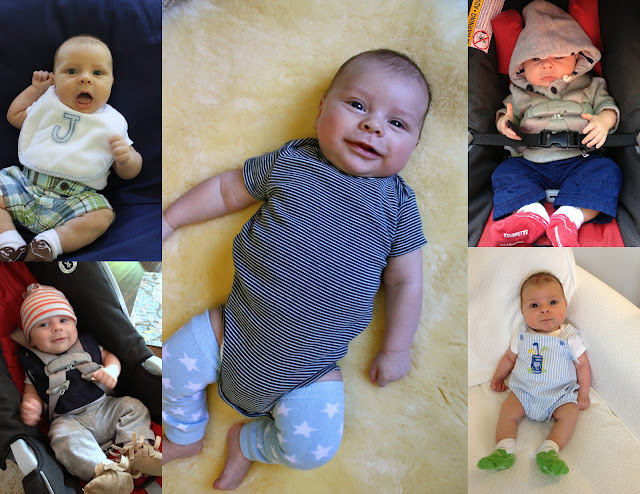 Clothes: This month he moved solidly into 0-3 clothes and now wears some 3 month onsies and bottoms. At the end of the month he moved into size 2 diapers to avoid the insane blowouts we were having. 1) The swing! Thank god for that swing! Crying: For the most part, James Robert, is a happy little guy. However, when he gets mad, he gets really, really mad. Likes: Tummy time, taking walks around the neighborhood, hearing himself talk and jam sessions with his Daddy and Major. Milestones: At 7 weeks old James Robert turned over from his belly to his back! He loves tummy time and holds his head up longer and longer. He is now tracking moving objects and loves to "talk" with family. 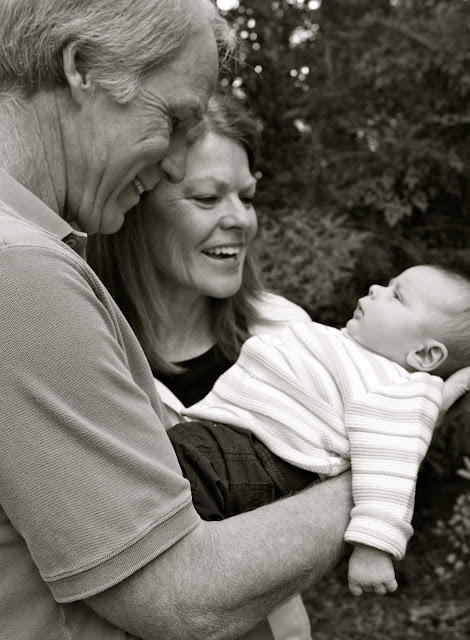 Gram is especially good at getting a huge smile and noises out of him. 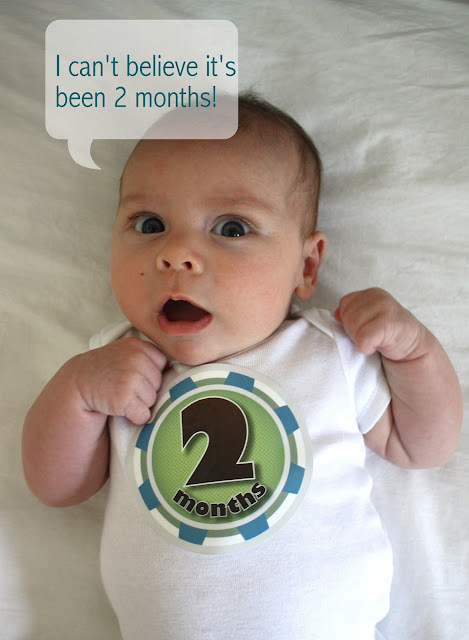 For more pictures from the his second month, click here!